thoughts during the first days in Germany. Jet lag is not an easy malady to describe. The affects from this trip are quite different from those experienced last year during our journey to the Netherlands. 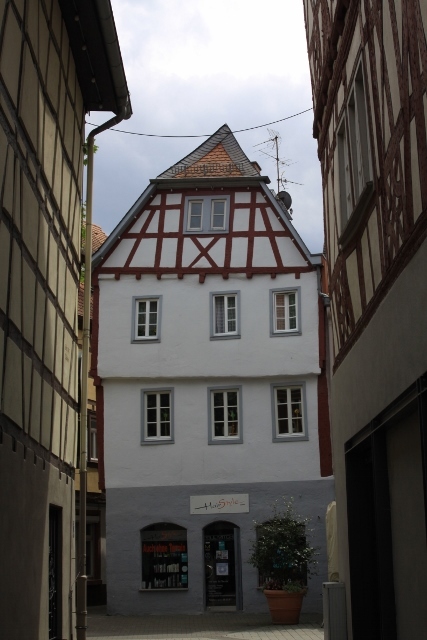 As an example, during the first days in Germany, I was rather tired from the journey but, surprisingly, there was little trouble in adjusting the sleep schedule. Eating, however, was another issue as I seemed to be hungry minutes after eating. I am quite positive that this was magnified by all of the fascinating food options. The return trip has been another matter. Yes, I was a bit more than exhausted when I got home but that was to be expected; several hours to navigate the labyrinth of security and airport terminals at both ends, a direct flight of more than eleven hours, retrieval of the Jeep from long term parking, and a two hour drive home. Still, for the past few days I find myself ready for bed around noon, wide awake at my usual morning time, and again in the evening around eight. Afternoons are almost comedic; sit down for two minutes and fall asleep. These problems are a small price to pay for what was a most amazing adventure. It was a near perfect blending of my favorite things; memory making adventures shared with my dearest friend, memory making adventures shared with good friends, an opportunity to visit with friends not seen often enough, new discoveries, an opportunity to promote Route 66 and share its secrets, and at every turn, a chance to broaden my perspective. The trip also provided an improved clarity about the Route 66 phenomena. Even though I am privileged to meet with Route 66 travelers most every day, and to have friends who are also avid enthusiasts, it was most interesting to see how prevalent the Route 66 shield is in Europe, and to strike up random conversations about the road in cafes, hotels, airports, taverns and shops. As an example, at the hotel lounge in Frankfurt the waitress was a charming young lady with an accent that was noticeably not German. In fact, Jackie was born and raised in New Zealand. Her mother was German and when an opportunity presented itself to work in Germany, she heartily accepted the challenge. Her accent initiated the conversation, but her noting that we were from Arizona, and that her father was about to begin a long held dream of traveling Route 66 and seeing the Grand Canyon set the course. This wasn’t an isolated incident. On numerous occasions our attempt to speak German with an American accent, or to simply try and communicate in English, led to conversations about America, and about trips to the United States made and trips planned. In turn this often led to me providing museum passes for the Powerhouse Visitor Center in Kingman, a contact phone number for the Munger Moss or Wagon Wheel Motel, information about river rafting on the Hualapai Reservation or spelunking at Grand Canyon Caverns, tokens for free coffee at Ramada Kingman, all items I had planned to distribute at the festival, or travel planning assistance for a Route 66 adventure. And in return I received an insight into the fascination with Route 66. I was also gifted with a rare opportunity to do more than play tourist. Quite often the fascination with Route 66 opened doors for intimate conversations about Germany, its history, its problems, its virtues, the people, and the special places. 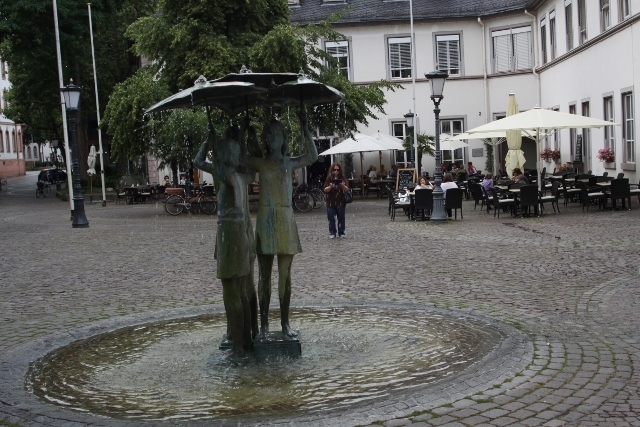 In one memorable instance, a simple wooden token that promotes Ramada Kingman and Canyon 66, and offers a free cup of coffee “on Jim” was traded for a stein of beer and directions to a hidden little courtyard cafe in Mainz (the apple strudel was superb)with a charming fountain. 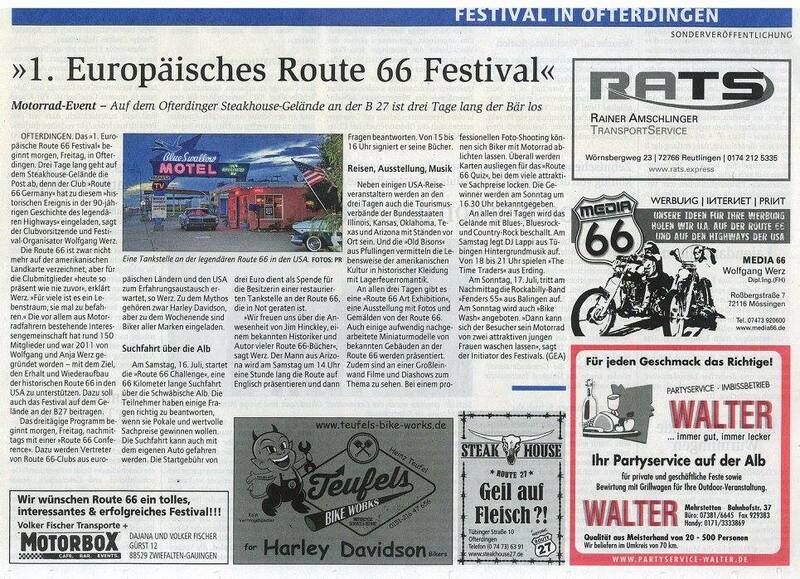 From its inception, the people and their passion have ensured that Route 66 is more than a mere highway. Looking from the perspective of the 90th anniversary celebrations to the roads centennial, that passion seems to be growing with each passing day.